· It puts you in a stronger position when buying. The seller you want to buy from would almost certainly prefer a buyer who has the cash in the bank (and/or a pre-approved mortgage) rather than enter a chain, where their sale is dependent upon you finding someone to buy your house. · You are less likely to be gazumped. If you put in a decent offer the buyer is unlikely to take another if it means entering a property chain. · You remain in control of the sale of your own house – because you won’t need to make a quick sale, you will not be pressurised into selling cheaply. · Those with time on their side are usually in the strongest negotiating position. · You may get a better price if you find a seller who is keen to move quickly. · You will know exactly how much you can spend because you’ll have the money from your sale in the bank – buying your new home won’t be dependent on you achieving the expected price on your existing one. · If prices are falling, then houses get more affordable as you wait. · If you sell first, expecting to be able to buy quickly after, you may be disappointed and instead have to rent for a time, which can prove very costly. · If prices are rising fast, by the time you’ve sold your house and sorted out somewhere to rent, a new house will be much less affordable. For example, if you rent for a year, and prices rise by 10% in that year, then you will only be able to afford 10% less. · If you do sell before you buy, make sure as many things as possible (mortgage etc) are organized beforehand so you can buy quickly. · Do your research before you sell. Decide what area you want to buy in, and what sort of property you want to buy. · Keep an eye on the property market while you are selling just in case that perfect house comes along. You’ve got time so you might as well use it. 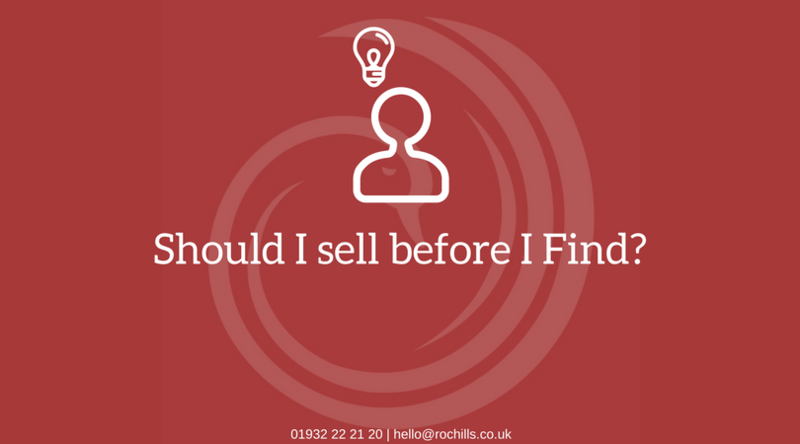 · Develop relationships with a number of estate agents before you sell, so that you get in there first with all good properties that come up for sale. · Get your mortgage pre-approved. This will make you even more attractive to a seller. · Try and slow down the selling process, by agreeing a longish period between agreeing an offer and exchanging, and between exchanging and completion. This might give you enough time to buy a new place in the meanwhile.